Here is a Great Book Recommendation for anyone working with a student struggling with an ongoing reading difficulty that may or may not be diagnosed as dyslexic. I LOVE the way this book approaches it with a STRENGTH BASED APPROACH! It is so important to BUILD ON STRENGTHS! Kids don’’t need one more person hammering on what they CAN’T do! Instead, we need to help them use their strengths to begin to overcome those weaknesses and find ways to compensate for them. Above all – our students need to rebuild their confidence, or more specifically, their MOTIVATION, SELF-EFFICACY, and PERSISTENCE. There is a section in the book where the author describes the M-I-N-D strengths. It is an acronym standing for: Material reasoning; Interconnected reasoning; Narrative reasoning; Dynamic reasoning These are areas where many kids and adults with dyslexia EXCEL. This is just a taste….you need your own copy! This is a PERFECT EXAMPLE of why HORSE POWERED READING is such a great tool for helping these children and adults who struggle, with persistent reading difficulties. Here is a page from the book with a link to the author’s website…. Interested in reading more? 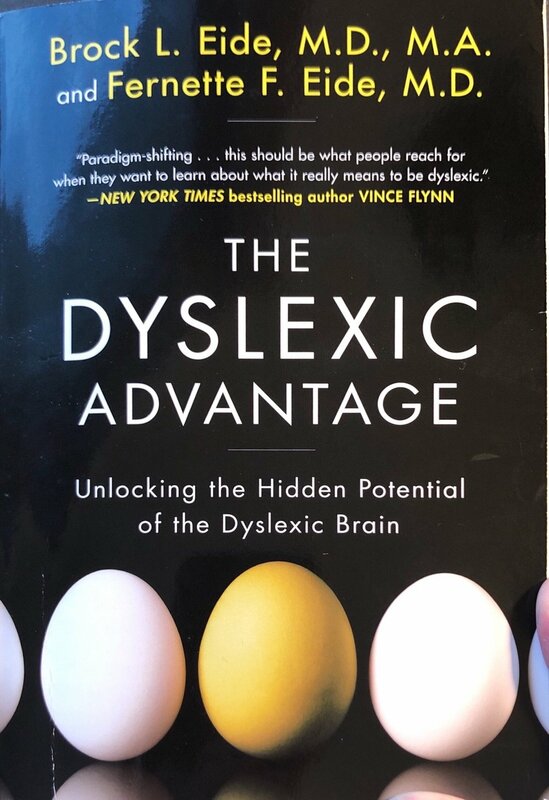 I have included a link to purchase “The Dyslexic Advantage” on Amazon.